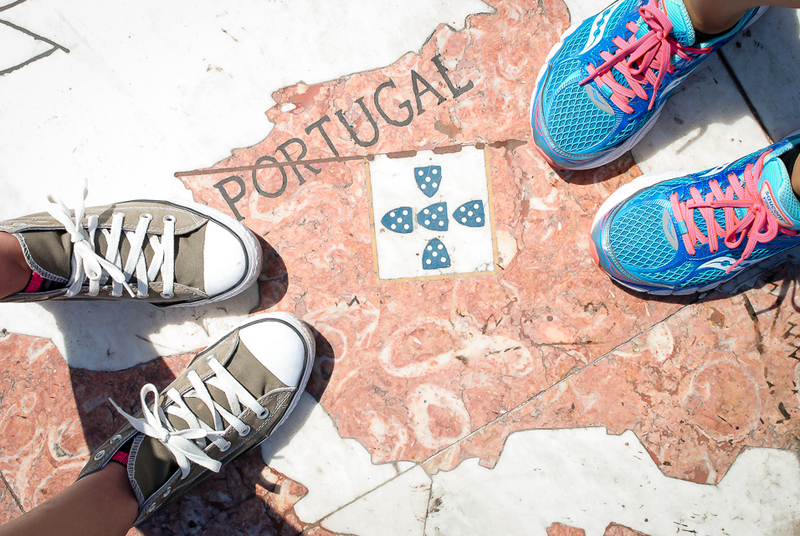 Portugal is a tiny country but there’s plenty of diversity from Porto in the north to the Algarve in the south. One thing you can (usually) count on though is lots of good sunshine, unlike other Western European destinations. To sum up my advice into one quick tip, I’d say: pack comfortable shoes for walking and a warm layer for the evening no matter where you’re staying. I tend to get cold in flight and prefer to be as comfy as possible. My go to flying outfit (for long flights especially) consists of leggings, an oversized cotton tshirt, a sweater tossed in my bag, warm socks and casual sneakers (slip-ons preferred for getting through airport security quickly). 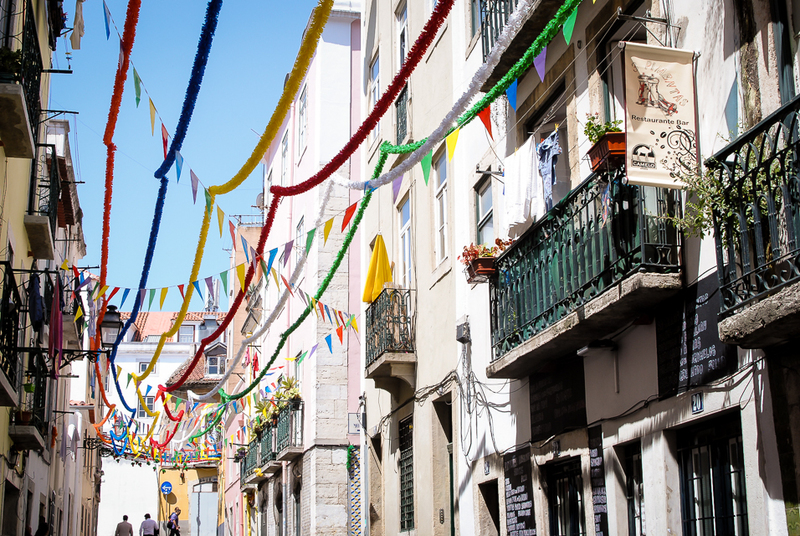 While Lisbon technically used to have eight hill and only has six hills today, not seven, it is worth noting that you will be trekking up and down cobblestone and (slippery) tile hills all day long. 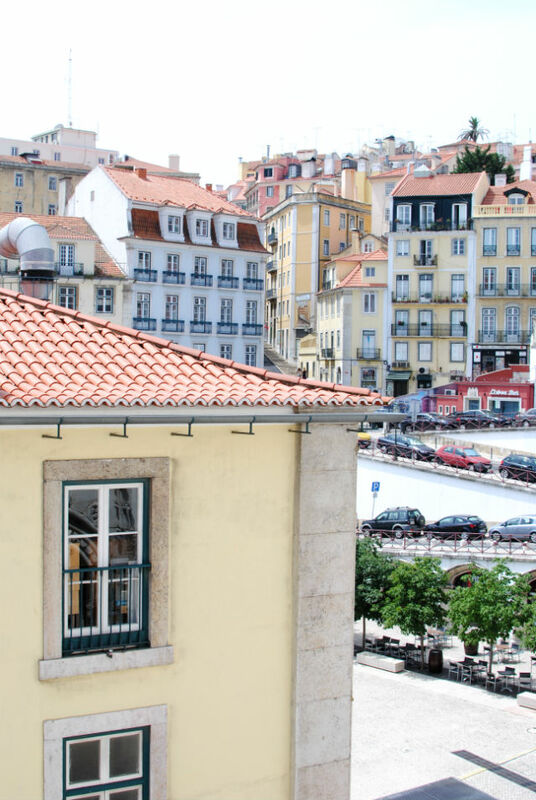 It’s part of what makes this city feel so beautiful and intimate but don’t forget to pack your comfortable shoes.I lived in my Converse sneakers and swapped them out for comfy flat sandals at night. The weather was always warm and sunny while we were there and cooled down to the mid-60’s at night so I would throw on a nice dress with a sweater, chambray button up or a scarf. My favorite outfit for Lisbon was my denim romper. Lagos was hot and sunny during our first two days, but cooled down significantly on day three. The west coast is wild and windy so be sure to have a cover up to throw on when the breeze picks up. Since we made plans to take surf lessons it was important to find a functional and cute swim suit.I couldn’t have been happier with my Minnow Bathers suit. It was perfect for playing in the waves and layered nicely under my wetsuit. 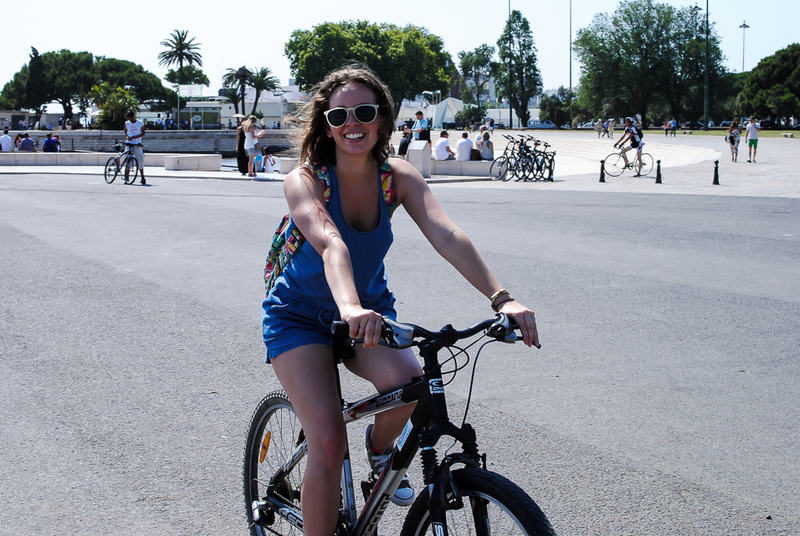 If not in a simple tshirt with shorts to bike to the market, I wore dresses for the entirety of our time at the beach. And just like in Lisbon, it was nice to have a sweater to throw on at night. 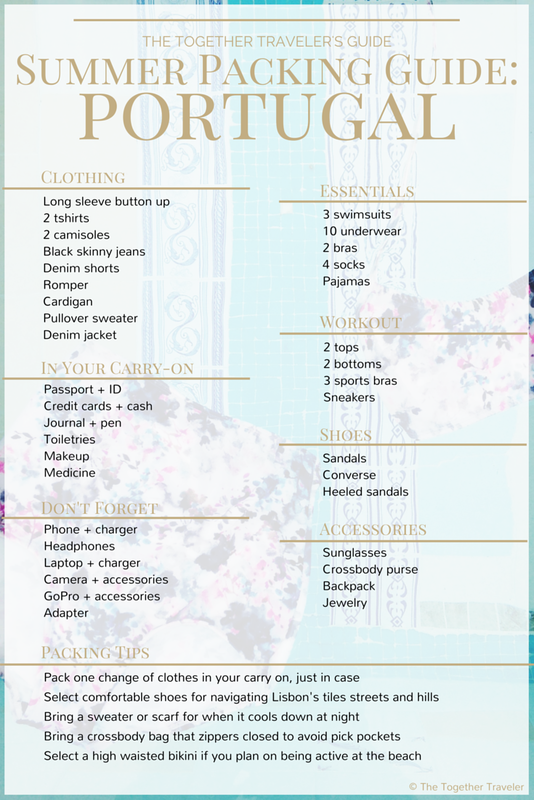 I’ve created a packing list based on everything I packed for my week in Portugal. You can grab the printable version here.